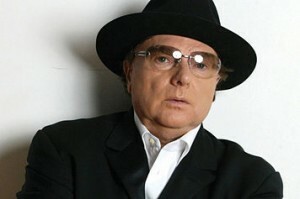 Van Morrison will play a special show at Dublin’s Olympia Theatre on December 10th. Tickets, priced between €65 and €80 go on sale Friday, November 28th. The show, titled ‘Lit Up Inside’, will feature, besides the legend himself, renowned literary figures including authors Michael Longley and Eamonn Hughes in celebration of the music and words collated in a new book ‘Lit Up Inside’. The concert will also include a Q&A with Van followed by an intimate band performance. Update: Scottish Author Ian Rankin has been added to The Van Morrison ‘Lit up Inside’ show at the Olympia. He will interview Van Morrison in the first part of the show.